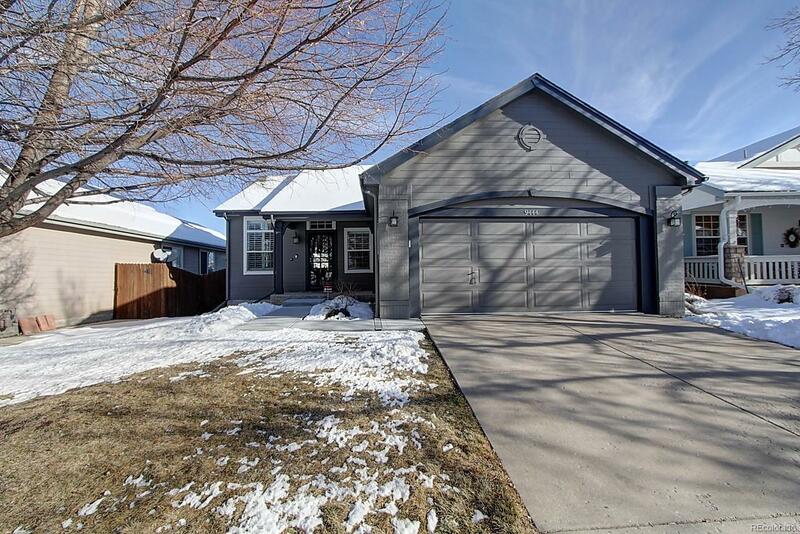 GORGEOUS, single-family, ranch-style home in with fully-finished walkout basement! Your future home in The Fairways offers 4 bedrooms & 3 bathrooms. Lots of upgrades within the last 2 years, including: new light fixtures, updated electric, engineered hardwood floors, plantation shutters throughout. Private Study (also a conforming bedroom) with double french doors. Open floor plan with Living Room, Dining Area, Family Room with gas fireplace & tile surround, & fully updated gourmet Kitchen. Kitchen features stunning high-end black stainless-style appliances, quartz countertops, updated cabinetry, center island with additional seating. Fully-finished walkout basement is perfect for entertaining friends & familyset up a pool table or other gaming table in the expansive rec room! Master Suite features private bathroom with skylight & walk-in closet with motion light. Furniture is negotiable. Vaulted ceiling, wired for surround sound! BEAUTIFUL home! Call today to schedule your showing!